OCEANetwork informed Oregon Homeschoolers about HB 3063, the Vaccinations Bill in the Oregon House. (You can download the bill language by clicking here.) We took a neutral position on the bill because it was not about homeschooling, per se. 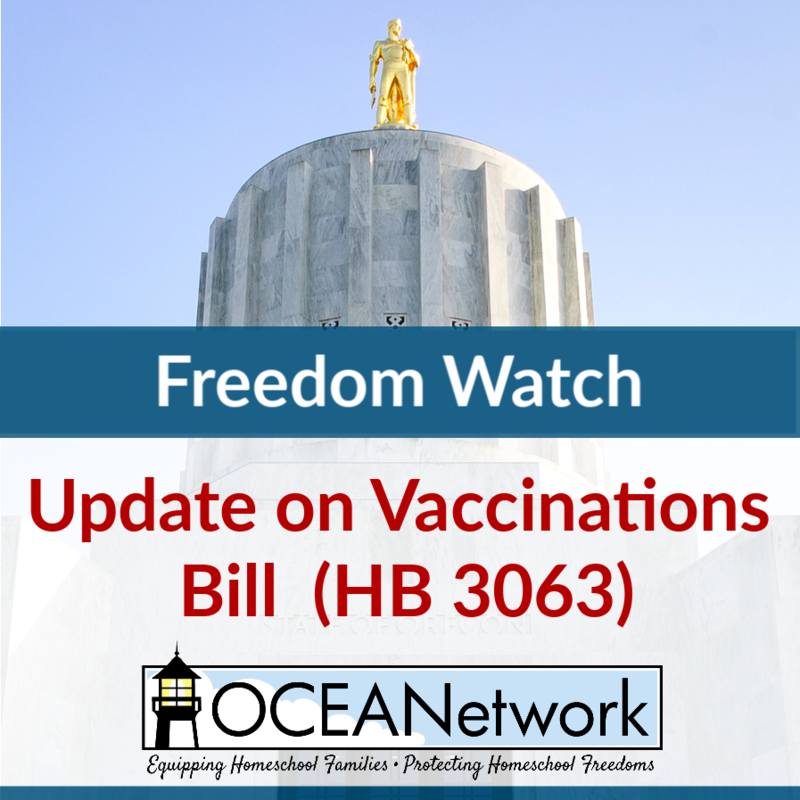 However after examining existing statute language, OCEANetwork determined that HB 3063 would force homeschooled children in some co-ops to be vaccinated. On March 1, before close of testimony, we notified the House Committee On Health Care that OCEANetwork is opposed to the bill as written. “House Bill 3063 presents a direct threat to the homeschoolers of Oregon. Our co-ops and other activities are an important part of our education infrastructure. Some use facilities that also house certified children’s facilities, such as churches. Oregon statute unfortunately defines any group which shares the premises with a certified child care facility as also being a children’s facility. “This means that HB 3063 enforces vaccinations on all homeschooled children who participate in such co-ops or activities. “On behalf of our homeschool constituents statewide, we respectfully request that a blanket vaccination waiver for all homeschool-related groups and activities be added to HB 3063. We will continue to track this bill and alert you if action is needed.